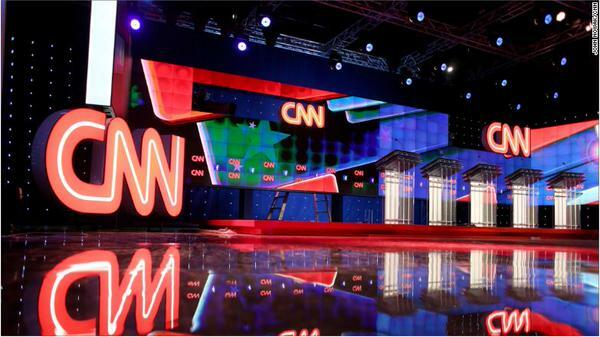 CNN isn’t anticipating record-breaking numbers for their Democratic debate tomorrow. The Republican debate, by comparison, had 22.9 million viewers, and was moderated by State of the Union anchor Jake Tapper (and maybe they chose Anderson Cooper to moderate and not Jake Tapper because they knew they would have lower ratings). “Viewership for the first two GOP debates was an anomaly in a highly unusual Republican nomination cycle. While I won’t predict ratings for this debate, we expect the audience to be significantly smaller,” CNN Washington Bureau Chief Sam Feist told Politico. CNN Worldwide president Jeff Zucker told the New York Times to expect “more direct questioning of each individual candidate” with fewer candidates on stage. In comparison, however, Mediaite columnist Joe Concha predicted that CNN would have 10.3 million viewers tune in for the first Democratic debate — which would be the highest Democratic debate on cable.